Posh Academy manager Nick Sheppard. Photo: Joe Dent/theposh.com. You could say the pressure is on the Posh Academy staff who have accepted the challenge of developing at least three players of first-team standard every year by 2024. But Academy manager Nick Sheppard is relishing the opportunity of using wisely a budget that has increased threefold from next season. New Posh professional Kyle Barker with first-team manager Darren Ferguson. Photo: Joe Dent/theposh.com. For a start Posh will double the number of players aged 9-12 they recruit annually. They will also hire extra coaches to ensure those players receive the best chance of continuing on a much-improved pathway to the first team. Posh plan to scout local players more regularly. They are bound by rules that insist 9-11 year-olds live within an hour of the training ground and 12-16 year-olds must live no more than 90 minutes away. “We have a great relationship with young footballers in our area thanks to the outstanding schools initiative and close ties to the Peterborough & District Junior Alliance League,” Sheppard said. “We will be tapping into that by going out and watching more games. “We want to lock down all the gifted and talented players within 20 miles of Peterborough. We are also able to recruit from Boston, Leicester, just north of London and just south of Lincoln. “We will be recruiting a lot more players so it’s important to find more coaches as well to make sure we can offer them the right sort of technical coaching as well introduce them to Academy life. It should help ensure more young players reach the end stages. “The board asked for a report in January on how we could produce three first-team players per year from the Academy. The staff got together and delivered a plan. “It’s an ambitious target, but we hope we can rise to the challenge and meet it. The extra investment is certainly great news as is the promise of more patience with players as they get to the end of their time in the Academy. “The current first-team management are keen on a pathway that could end with our youth team players getting more time to bridge that gap to the professional game. “Under 23 football is useful as players can catch the eye of the gaffer, but it’s also important for 18 year-olds to get out and experience non-league football on a Saturday when there are points and even livelihoods at stake. Some players don’t develop fully until they are 21 so the more time they get the better. Making decisions on players when they are 18 can make no sense. 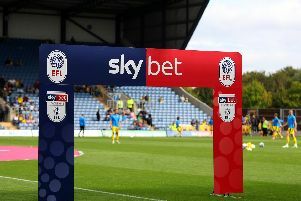 “We looked at the current first-team squad and they made their Football League debuts on average aged 20 and a few months, but they made their League One debuts aged on average 22 and eight months. Posh haven’t made decisions for next season on all Academy graduates.